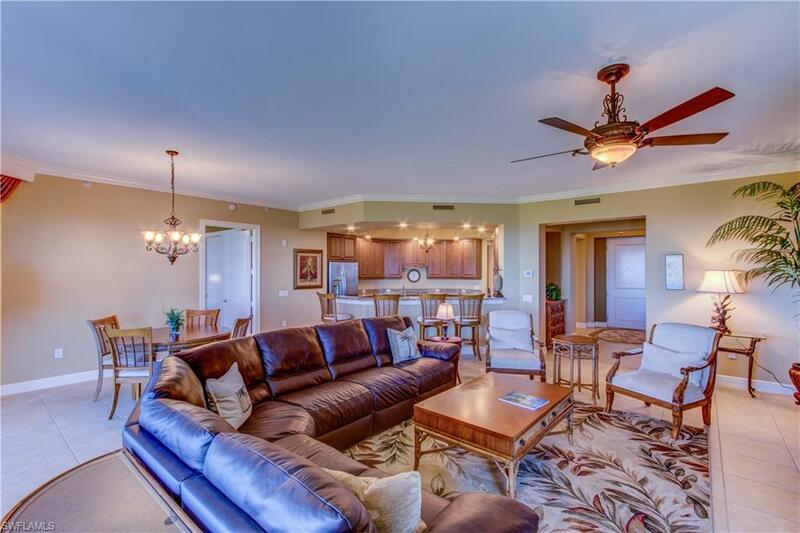 Rarely available luxury Penthouse residence with unobstructed sunset views of Lovers Key, Estero Bay and the Gulf of Mexico in Castella at The Colony. 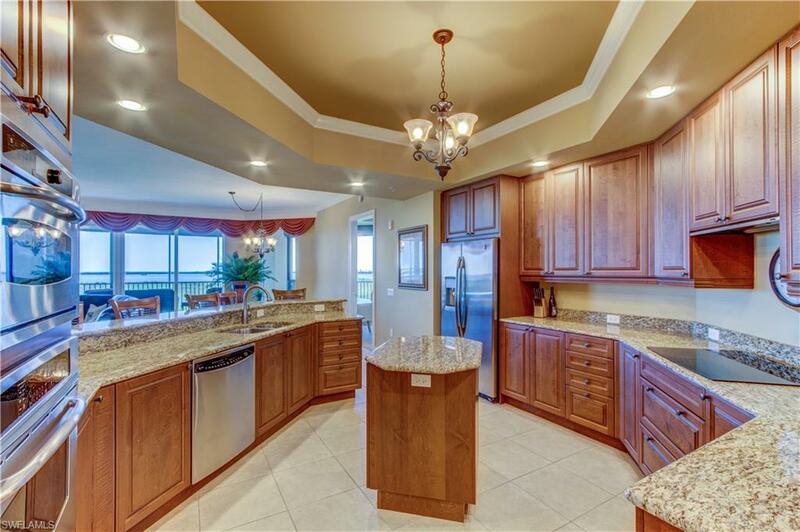 This spacious open floorplan boasts 2373 sq. ft and offers 3 bedrooms, 2.5 baths, crown molding, neutral tile throughout and gourmet kitchen w/ wood cabinetry, granite counters and stainless steel appliances. The expansive 538 sq foot screened lanai is complete with electric storm shutters and breathtaking water views. 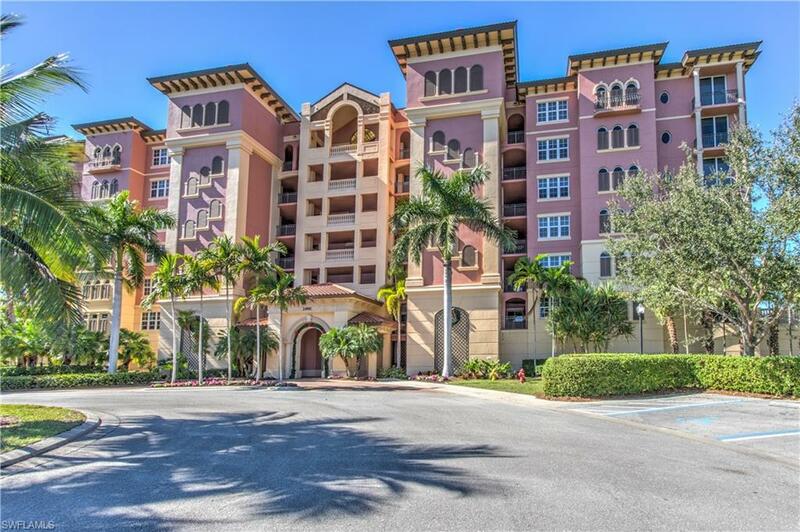 The secluded enclave of Castella features upscale, maintenance free living with convenient secured parking garage, centrally located tropical resort-style pool, spa, waterfall, outdoor grills and social pavilion. 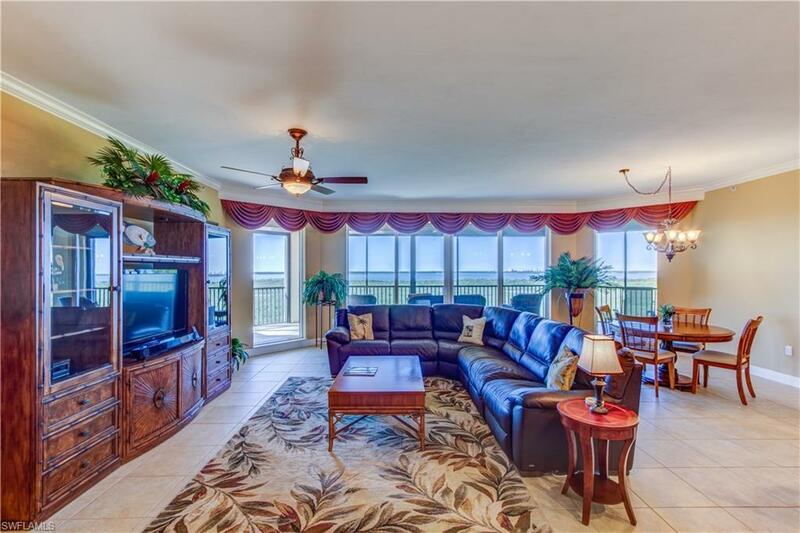 The Colony at Pelican Landing amenities include The Bay Club, a private island w/boat service, tennis, kayaking, pickleball, fitness center, biking and much more. This luxury residence is being offered fully furnished. Golf Memberships available separately. Listing courtesy of Jenny Moorhead of Cornerstone Coastal Properties.